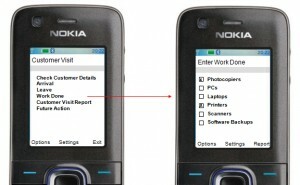 SoloAdvance for field service workers is an easy-to-use mobile phone proof-of-attendance solution. SoloAdvance is easily configured to suit the requirements of both the service company and its clients. We place RFID tags at strategic places in your client’s premises. When your staff member touches these pre-positioned RFID tags with their mobile phone, we immediately record this event on our web database – giving Guaranteed Proof that your worker has visited the client’s site and at what time!. Other reporting options instigated by touching an RFID tag in their van could let them record start and end of shift, or current mileage readings. 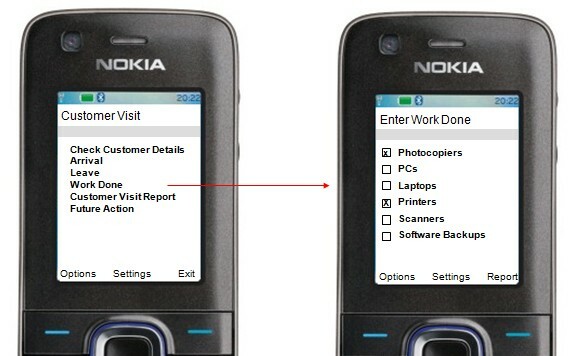 The field worker needs to carry only one device, a mobile phone, in order to confirm where he is, for how long, and the tasks performed while he was there. Additional expensive and difficult-to use mobile devices such as a PDA are not required, and time-consuming and error-prone manual form-filling is greatly reduced. Using SoloAdvance, the service company collects in-field data quickly and more accurately, helping them provide a better service to their clients and giving them immediate visibility of field visits and data logged by workers. Web-browser based reports and enquiries allow both managers and clients to access real-time information that can also automatically be transferred to the main operational work-force management system.